What was it when you were growing up that got you excited like that kid - my nephew - in the photo below? Was it opening presents on Christmas morning? Could it have been your birthday or Halloween, maybe? Perhaps it was standing in line for the latest iPhone! For me, it was Klondike Days. K-Days 2017 will take place July 21 - 30 @ Northlands! It was the thundering carnival rides, the endless carts of colourful sodas and sugary treats, the shooting and tossing games at every turn, with prizes that always seemed easier to win than they actually were! What more could a kid ask for, right?! And although the name has changed - a couple of times, actually - the excitement has not gone away. 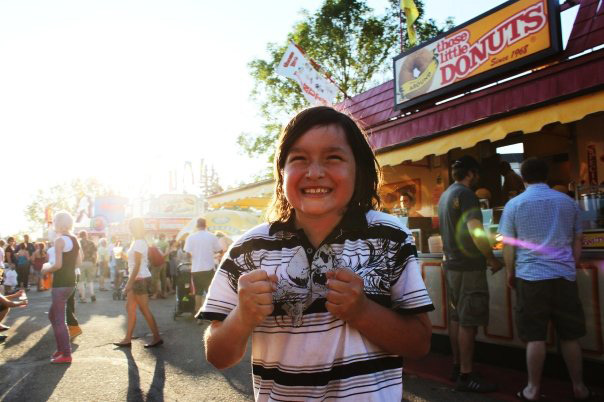 Kids, teens, adults, whole families look forward to those ten days at the end of July when K-Days takes over Northlands, and has been - for the most part - since 1879.
Who doesn't love "those little donuts"?! Back then, on October 13, about 500 people attended the first-ever fair in the original Fort Edmonton region, which included local livestock, veggies, grains, and crafts. 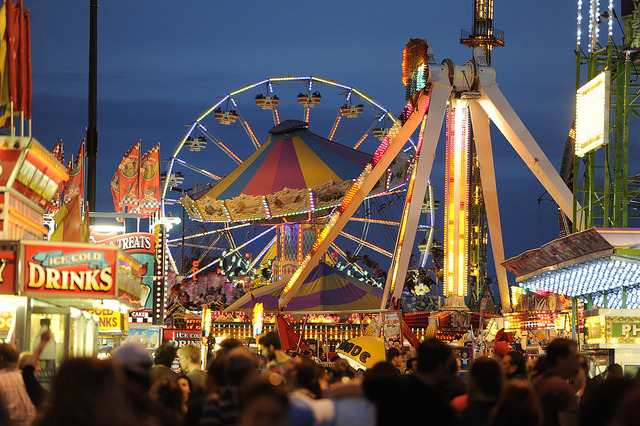 Although the locations changed and the crowds grew, the essence of K-Days remained, as a community celebration where people of all ages could come out to enjoy the food, the fun, and the fantasy.